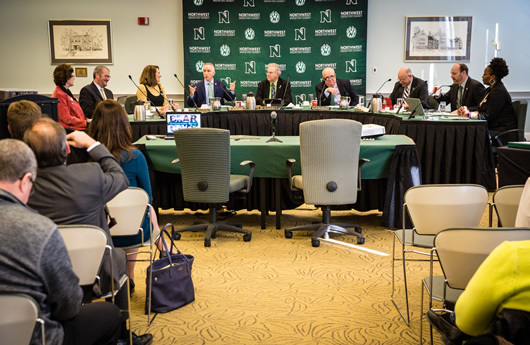 The Board of Regents serves as the governing body for Northwest Missouri State University. The nine members, including a non-voting student regent, are appointed by the governor and approved by the Missouri Senate. The board holds the Northwest vision in highest regard. 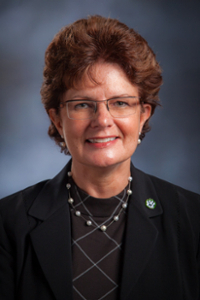 Pat Harr was appointed to the Board of Regents in 2013. He spent 38 years practicing medicine in Maryville and served as a volunteer physician for Northwest athletics teams before retiring in 2012. He earned his undergraduate and medical degrees from the University of Missouri-Columbia and attended Northwest where he studied pre-medicine. 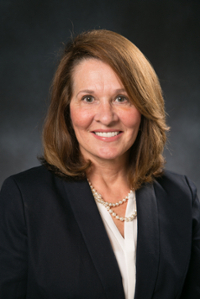 Marilou Joyner was appointed to the Board in 2015 and is the chief executive officer and owner and administrator of Cameron Group Care Inc. She is a longtime educator in northwest Missouri public schools and was assistant commissioner for the Division of School Services within the Missouri Department of Elementary and Secondary Education. Joyner obtained her bachelor’s, master’s and education specialist degrees from Northwest, and she has a doctorate in education from the University of Kansas. 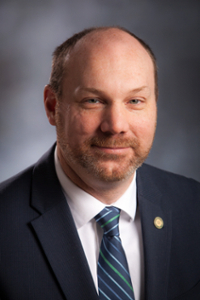 Jason Klindt was appointed to the Board of Regents in 2018. He earned a bachelor’s degree in public relations at Northwest in 1999 and a Master of Business Administration degree from the University in 2002, is senior manager of customer intelligence at KCP&L, where he has been employed since 2014. His professional experience also includes 10 years as a communications director in the U.S. Congress. 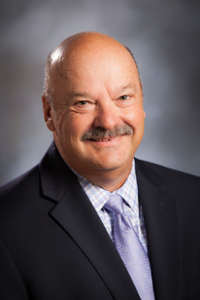 John Moore earned his bachelor’s degree in finance at Northwest in 1978 and has remained an active volunteer and supporter of the University, including as a former member of the Northwest Foundation Board of Directors. He retired in 2014 as chief operating officer of the Federal Reserve Bank of San Francisco, capping a successful 33-year-career with the Federal Reserve System. John Richmond was appointed to the Board of Regents in 2013. He served 29 years as the president and CEO of Northwest Medical Center in Albany. He has a bachelor’s degree in economics from the University of Missouri-Kansas City and a master’s degree in hospital administration from Webster University. Richard Smith was appointed to the Board in 2015 and is part-time superintendent of schools at the Cainsville R-1 School District and was superintendent of schools for the South Harrison R-11 School District in Bethany, Mo., from 2004 to 2008. He also served as a principal and teacher in the district from 1973 to 2004. Smith obtained his bachelor’s and master’s degrees from Northwest as well as his specialist in education degree. George Speckman, a 1989 graduate of Northwest, operates Touchdown Publications, which owns, operates and publishes the Savannah Reporter, a weekly newspaper in Savannah, and The St. Joseph Daily Courier, a daily legal publication in St. Joseph. He also owns and operates Pinnacle Valuation Services, a real estate valuation company serving the Kansas City and St. Joseph areas. 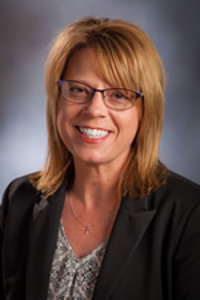 A 1984 graduate of Northwest, Roxanna Swaney has worked for CenturyLink since 1999, serving in multiple positions within the company, including her current role as lead sourcing analyst. She is past president of the ArtsTech Board, a past president of the Institute for Supply Management-Kansas City and the former president of the Clay County Parks and Recreation Board.